A call to action to include marginalized, non-western communities in the continuously expanding digital revolution In the digital age, technology has shrunk the physical world into a "global village," where we all seem to be connected as an online community as information travels to the farthest reaches of the planet with the click of a mouse. Yet while we think of platforms such as Twitter and Facebook as open and accessible to all, in reality, these are commercial entities developed primarily by and for the Western world. Considering how new technologies increasingly shape labor, economics, and politics, these tools often reinforce the inequalities of globalization, rarely reflecting the perspectives of those at the bottom of the digital divide. 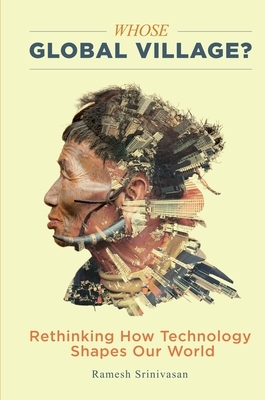 This book asks us to re-consider 'whose global village' we are shaping with the digital technology revolution today. Sharing stories of collaboration with Native Americans in California and New Mexico, revolutionaries in Egypt, communities in rural India, and others across the world, Ramesh Srinivasan urges us to re-imagine what the Internet, mobile phones, or social media platforms may look like when considered from the perspective of diverse cultures. Such collaborations can pave the way for a people-first approach toward designing and working with new technology worldwide. Whose Global Village seeks to inspire professionals, activists, and scholars alike to think about technology in a way that embraces the realities of communities too often relegated to the margins. We can then start to visualize a world where technologies serve diverse communities rather than just the Western consumer.